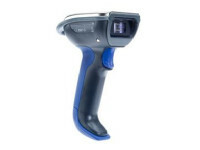 The Intermec SG20 is an affordable, high performance family of handheld scanners available in tethered or cordless models. Designed to the needs of healthcare, the SG20 helps to ensure that patient safety standards are consistently met. 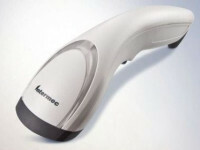 The Intermec SG20 high performance healthcare scanner features responsive and reliable performance to help eliminate errors and improve patient care. Whether at the admitting desk, nurses’ station, patient bedside, lab or pharmacy—the SG20 minimizes the time and effort to read a bar code, improving productivity while ensuring important verification processes are completed. Scanners have long been the de facto data capture device for healthcare, but are often slow, unreliable and not well suited to these environments. 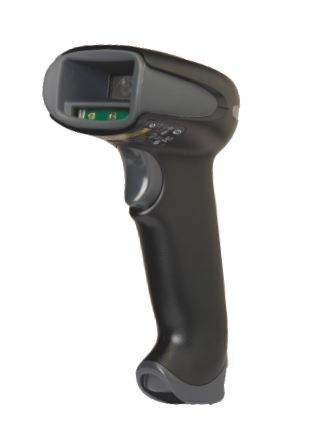 The SG20 is built to excel in the hospital, with the industry’s fastest omnidirectional 2D bar code reading technology and more motion tolerance than competing devices. 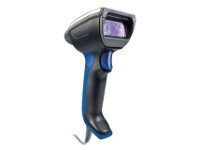 This ensures all common 1D and 2D bar codes are scanned easily and consistently, at any orientation, without time-consuming item repositioning or disturbance to resting patients. A variety of communication options make the transition to automatic bar code data capture fast and easy. Connecting to your existing infrastructure is easy with support for USB, RS232, and keyboard wedge cable interfaces—as well as optional Bluetooth® wireless connectivity. 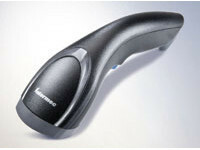 Healthcare scanners are often used at the point of care where infection control is crucial. The disinfectant-ready housing of the SG20, when combined with a protocol of frequent disinfecting, can minimize the spread of infectious diseases while providing years of reliable service under these conditions. The SG20 family includes the option of either a Bluetooth wireless or tethered (cabled) scanner, and a choice between high performance scan engines with laser or LED aimers—perfect for patient-facing applications. This makes it possible to standardize on a single scanner family across your healthcare operation while providing just the right model for your exact needs. A variety of matching accessories, such as scanner stands, enable hands-free scanning and free up much needed counter or COW space. The SG20 is enclosed in an all-white housing to match the clean aesthetics of most hospital environments. The arching profile of the SG20 is perfect for tight spaces and the large multi-color LED can be customized to match the color of your décor or brand. The SG20 can be quickly and easily configured with Intermec’s exclusive EasySet™ PC programming tool. In just a few clicks, this Windows-based utility can print programming barcodes for custom configurations. Adjust security settings, symbologies, beeper tone and volume, LED color—even set up advanced data editing routines. Intermec bar code scanners operate in dynamic business environments, and a support plan can protect you from unforeseen contingencies. Intermec Medallion® Service programs deliver the highest levels of productivity, device reliability, and uptime. RoHS, China RoHS, WEEE, and REACH.